Bringing you the finest collection of luxury ski chalets in France, Austria, Switzerland, Italy, USA and Canada. Let us help find you the perfect chalet for your luxury ski holiday. 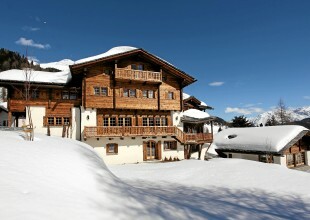 Browse Ski In Luxury's chalet collection for access to our luxury catered chalets. Chalets with hot tub, sauna, cinema, swimming pool, gym and much more. Below you will find some of the most popular searches that we get asked for here at Ski in Luxury. They are categorised by the facilities that they offer in order to make it as easy as possible for you to find the luxury ski chalet to suit your needs and requirements. Click on the search button below to get started or give us a call on +44 (0)1202 203650 to discuss your criteria and leave the hard work to us!